From singles to young families and retirees who all enjoy the unique lifestyle of Tilligerry which has been expertly planned as a town of self supporting 'villages' which has won many awards. The people who come to live here all have recreation in mind and the many parks and waterways on the Peninsula cater for this desire. Tilligerry is a strong community with facilities galore to suit all and it is still growing strongly residential. On the Peninsula there are Two Clubs as well as arts & crafts stores,we also have an 18 hole golf courses and tourist parks and a marina. 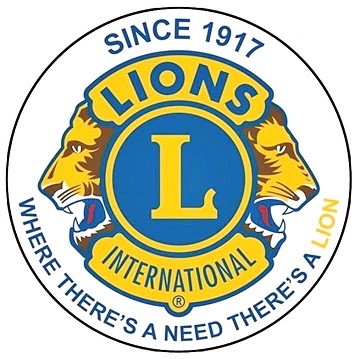 As for the Tilligerry Lions Club, we were formed in 1984 and we meet on a monthly basis on the third Tuesday at 6:30pm, at Club Leomontree . If you are looking to attend our social meeting as a guest on a Third Tuesday, please contact one of the members listed on our Contact Us page or any other member you may know. Please browse our website at your leisure, we think you will find it interesting and maybe thought provoking. And please pass on our web address to friends and family. With our 45,000 clubs and 1.4 million members in 206 countries around the globe, it makes us the world's largest service club organization. We're also one of the most effective. In the words of early settler and surveyor-entrepreneur Henry Halloran, Tilligerry Peninsula "is almost an island". On the south western shores of Port Stephens lies the Tilligerry Peninsula which is made up of 5 villages: Lemon Tree Passage, Mallabula, Oyster Cove, Salt Ash and Tanilba Bay. The Tilligerry Peninsula attracts families, nature and boating enthusiasts. The area has a marked emphasis on eco tourism and is best known for its large native koala population, idyllic waterfront areas and peaceful atmosphere. Our 1.4 million men and women in 206 countries and geographic areas conduct vision and health screenings, build parks, support eye hospitals, award scholarships, assist youth, provide help in time of disaster and much more.